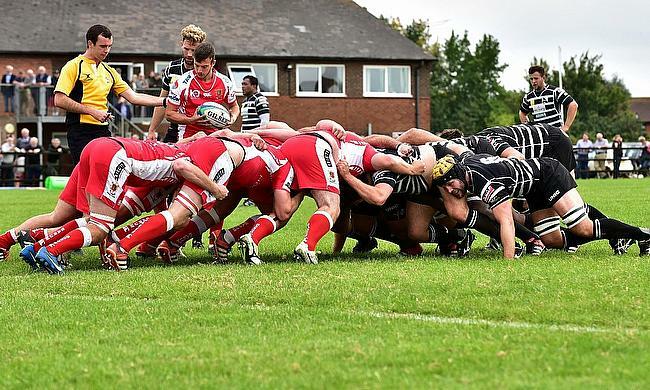 National Leagues: What can happen on the final weekend of the season? As the National Leagues reach their climax on Saturday, there are still plenty of issues to be settled on the final scheduled weekend of the 2017-18 season. Across all three divisions, there’s a large number of permutations in the fight to avoid relegation while the destination of the National Two North title is still to be decided. 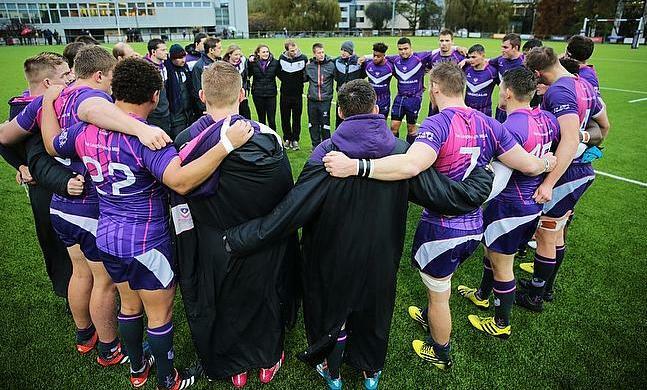 Hull Ionians, Loughborough Students and Rosslyn Park are battling to avoid joining Fylde in next season’s National Two North – and the Students’ win over Fylde last weekend has made their equation very simple. Alan Buzza’s men just need to match or better the result of Hull Ionians when they face Darlington Mowden Park on Saturday and the same scenario applies to rivals Rosslyn Park. Kieran Power’s side are two points clear of the drop and they also have a game in hand, but if they equal of better Hull’s result when they take on already relegated Old Albanian, Rosslyn Park will be safe. Defeat in Round 29 against Ampthill and District reduced Hull Ionians’ survival chances. Their fate is now out of their hands as the Yorkshire club slipped back into the bottom three and with a trip to newly crowned champions Coventry to come, the odds seem stacked against. A loss at Butts Park Arena would see Hull relegated to National Two North for the first time in three years, but three points or more against Cov will give them a chance of staying in this division. Sale FC are in the box seat to claim an historic promotion to National One. One point clear of second placed Sedgley Park and with a game in hand, Jonathan Keep’s side know that a win over Leicester Lions at TMDP Park will guarantee the title and a place in the third tier, regardless of what Sedge do. Sedge have known for a while that top spot is not in their own hands, but a run of eight straight wins has kept the pressure on Sale. 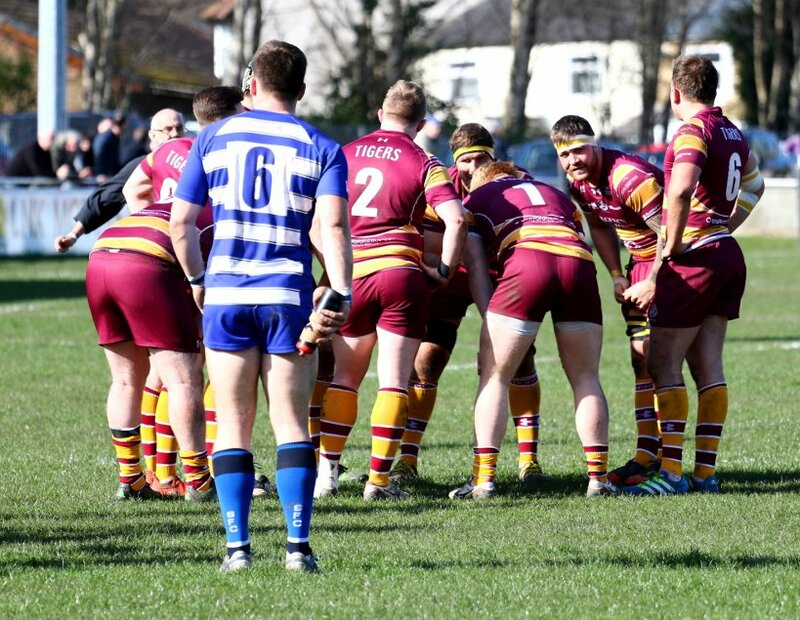 The only way Matt Bebbington’s men can secure automatic promotion is with a victory over Sheffield Tigers on Saturday and an almighty collapse from Sale in their final two games of the season. 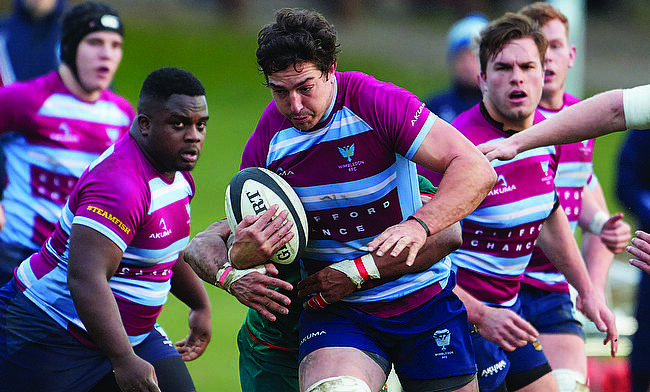 Sale FC Director of Rugby Jonathan Keep: “Every week brings a different challenge with it and as you get to the business end of the season, many clubs have a lot to play for still and need every point they can get. Sedgley have kept the pressure on us, which in all honesty has been great as it has stopped the players from becoming complacent and remaining focused. Meanwhile, at the foot of the table, it’s a little more complicated down. With Sheffield already gone, Luctonians, Bladyon, Wharfedale and even Leicester Lions are still not safe. For Leicester Lions, just one point from their match with Sale FC would confirm their place in this division for another year, but for them to possibly go down, Luctonians would have to pick up maximum points from their three remaining games, with one of those fixtures coming against the Lions. The Lucs are still in with a shout. Victory against Otley last Saturday means they are 10 points from safety and with their two games in hand, survival is still possible. However, avoiding a defeat to Sheffield this weekend is a must for Ryan Watkins’ side if they are to keep their dream alive. For Blaydon and Wharfedale, it is much clearer. Blaydon, who occupy the final relegation spot, are one point behind Dale heading into the final day so the north-east outfit must better Dale’s result this weekend. Matt Thompson’s side host Hinckley while Wharfedale, boosted by their victory over Tynedale in Round 29, entertain Macclesfield. Sticking with a battle at the bottom, we go to National Two South. Just like last season, the fight for survival has gone to the final day of the season and four sides are still not safe. London Irish Wild Geese’s crucial win over Henley Hawks last Saturday means they require just one point from their fixture against Worthing Raiders to secure their status in this division for a third consecutive year. Below them it is much tighter. 13th placed Old Redcliffians missed the chance to confirm their safety last week as they were beaten by rivals Wimbeldon. Now, Old Reds need two points or more from their game against Redruth at Scotland Lane to be sure of their survival, but they will certainly have one eye on another fixture at the weekend. That comes at Pottington Road as Barnstaple and Wimbledon face off in a relegation shootout. Both sides currently sit in the bottom three and their destinies are also out of their hands. Barnstaple require a minimum of three points to stay in this division, but they will be relying on Redruth to do them a favour against Old Reds while for Wimbledon, they know they must win to stand any chance of staying up. The Dons will also require other results to go their way if they are to pull off a remarkable escape. London Irish Wild Geese Head Coach Lee Starling: “It [win at Henley] was massive. I’m very proud of everyone. We knew we needed the win and away at Henley is a very tough place to go. Everyone stepped up and delivered a mature controlled performance. We have a tough game at home to Worthing on Saturday but if we show the composure and defend as we did against Henley there is no reason we can’t get the win. Old Redcliffians Director of Rugby Kevin Coster: “Obviously everyone was gutted after the Wimbledon result. Training had gone well and none of us saw that result coming. Myself and the rest of the club from bottle washers to the top committee members will be gutted if we don’t stay in the league.